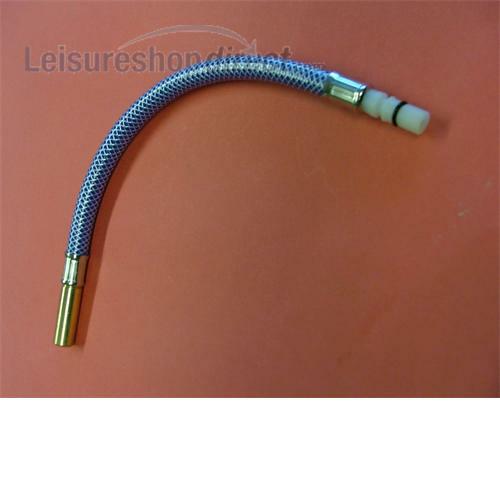 Blue flexi connector for Reich taps. To suit 12mm push fit system. 300 mm. long. Pushes into the base of the tap and has a 12mm male connection at the other end for 12mm push-fit fitting.